The Texas Progressive Alliance announces that all of its members have renamed themselves “Simone” as we bring you this week’s roundup. 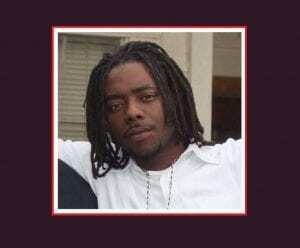 Off the Kuff notes the changes to the voter ID law that were approved last week. 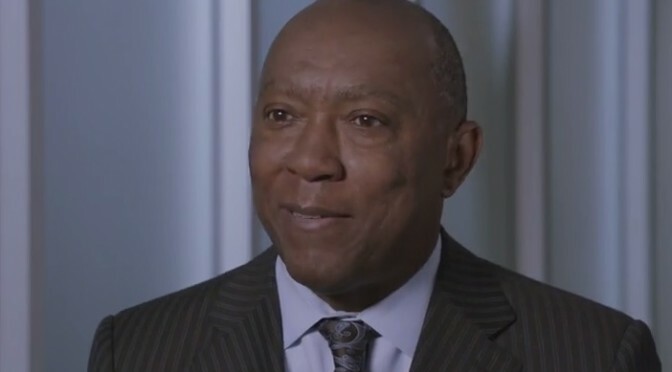 Harris County Republicans completed the epic fail trifecta with Commissioner Steve Radack’s “enjoy your floods!” remarks, which piled on the continuing troubles of DA Devon Anderson and Sheriff Ron Hickman. PDiddie at Brains and Eggs posted that that Democrats have a good shot at a clean sweep of these three offices, and only one of them should require a little effort to accomplish. CouldBeTrue of South Texas Chisme is appalled at the McAllen Monitor for publishing an oped describing how to strip TWO Supreme Court Justices from Barack Obama. Socratic Gadfly, as he continues to recover from a fairly bad broken arm, tells 1 percenters he’s not a freeloader because of the legitimate assistance of workman’s comp. 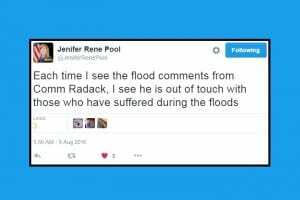 Like most around Houston, Texas Leftist was quite surprised to hear/ see Harris County Commissioner Steve Radack’s insensitive comments about flood victims. 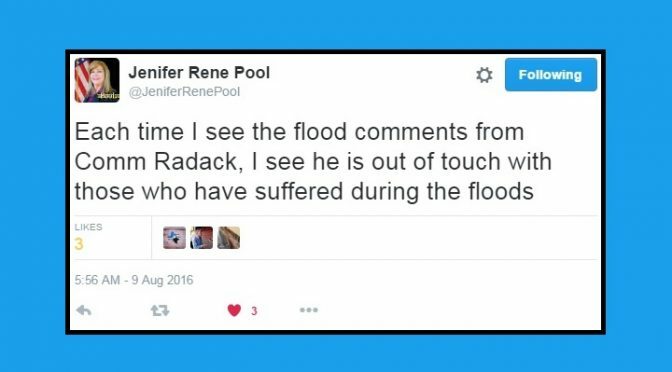 Thankfully his Democratic challenger Jenifer Pool was quick to respond. This race may have just gotten interesting. Neil at All People Have Value saw a mother steer her young daughter away from some Legos at the Lego store saying that a Lego airplane and truck was for boys. Neil wondered what is wrong with people. APHV is part of NeilAquino.com. Space City Weather explains why hurricanes go where they go. Josh Blackman highlight’s the Electoral College’s intended role as a check on despotism. Christopher Hooks reads Greg Abbott’s silly book so you don’t have to. The TSTA Blog reminds us that school finance depends on legislators, not lottery players. Paradise in Hell counts all the ways that George P. Bush’s endorsement of Donald Trump is awesome. John Nova Lomax ponders the morality of Steve Miller’s rock classic Take The Money And Run. Even those with the toughest jobs need some regular ways to unwind and escape. That includes the nation’s best known elected official. In the midst of what is surely a much needed summer vacation, President Obama has given the people a quick ear into some of his current favorite sounds. The 2016 Summer Playlist dropped via his @POTUS Twitter account. 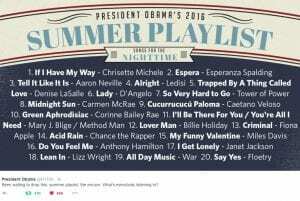 President Barack Obama has shared his 2016 summer playlist, which boasts a wide array of artists from Jay Z, D’Angelo and Nina Simone to the Beach Boys, Courtney Barnett and Caetano Veloso. Like last year, Obama organized his tracks into two collections — songs for daytime and nighttime — and both are available to stream on Spotify. 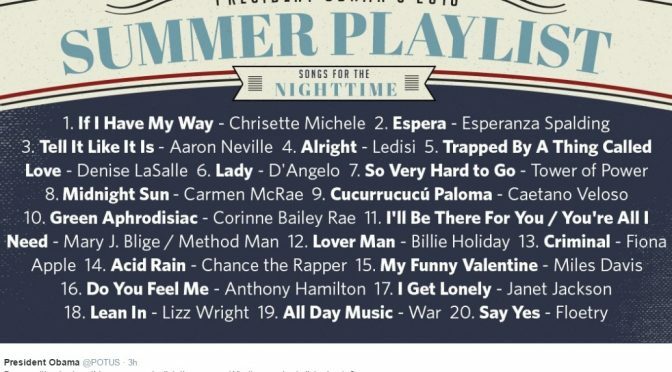 From Wale and Charles Mingus in the Daytime, to Ledisi and THE Janet Jackson in the Nighttime, the President’s Jams are definitely legit. Peep the full list directly from the White House. So will you be giving the Summer Playlist a spin? If so, share your thoughts in the comments. Floetry says it best… all you gotta do is Say Yes. 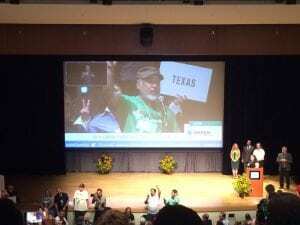 The Texas Progressive Alliance is feeling the Olympic spirit as it brings you this week’s roundup. Taking into account both real and hypothetical options, SocraticGadfly uses ranked choice voting to explain how he would vote, or like to vote, in this year’s presidential election. 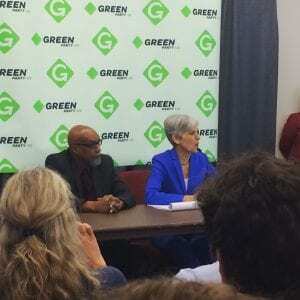 The Green Party‘s presidential nominating convention in Houston kept PDiddie at Brains and Eggs busy most of the week. 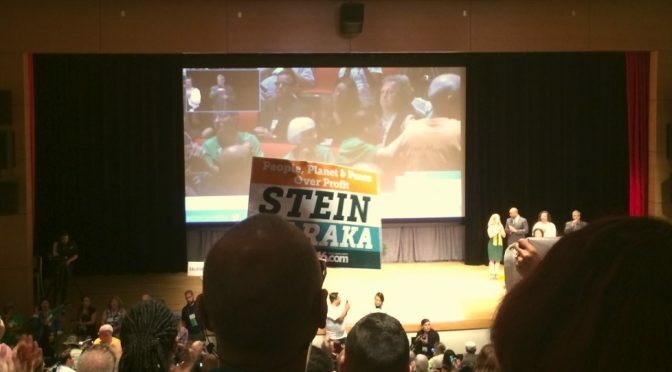 There’s also a CNN town hall scheduled for next week for the Jill Stein-Ajamu Baraka ticket. Neil at All People Have Value walked on Houston’s fabulous Airline. Dr. with a sign regarding the need for respect for all people. APHV is part of NeilAquino.com. Pamela Coloff‘s 2006 story on the UT Tower shooting received a lot of attention on the 50th anniversary of that horrible day. The Texas Living Waters Project argues that desalination could harm Texas’ bays. Juanita is seeking support for Glen Maxey’s ballot by mail program. 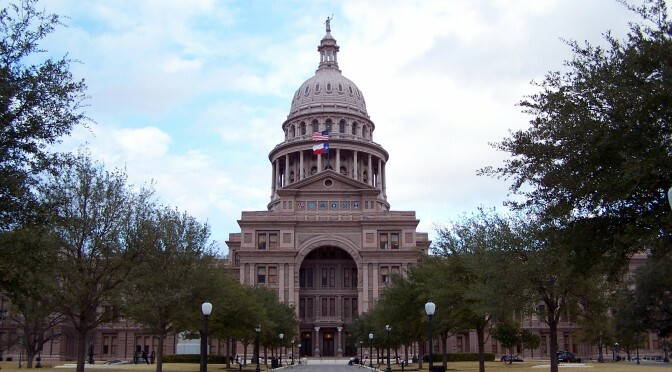 The TSTA Blog sees through the latest school finance “reform” idea. 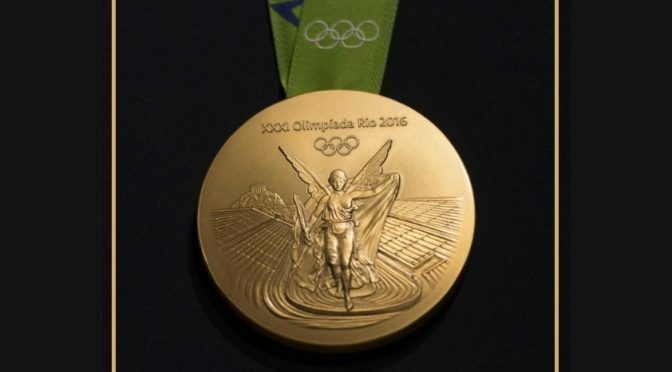 Last week the 2016 Summer Olympics commenced in Rio, and so far it has been a banner games for Team USA. Texas Leftist wishes our amazing Texas athletes and all of Team USA good luck and a great competition in Rio. The Dallas Morning News has a great interactive page tracking Texas athletes and what events for which they compete by day. 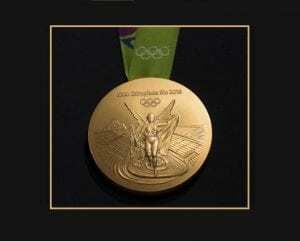 Hope y’all bring home the gold! !